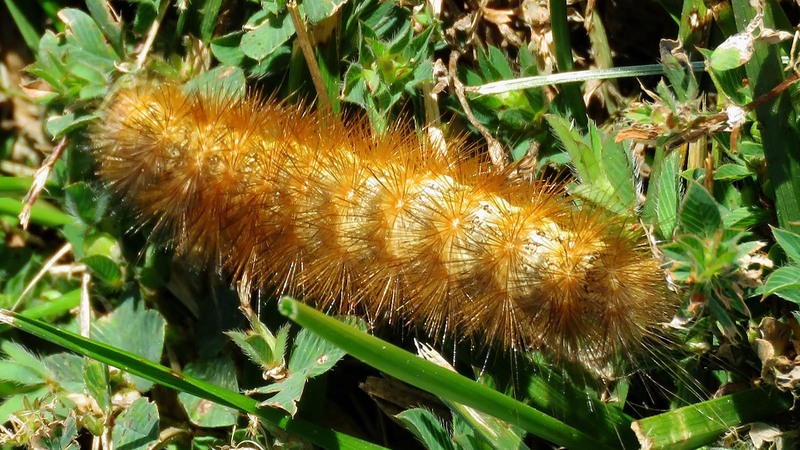 The Woolly Bear caterpillar has 13 distinct segments of either rusty-brown or black. According to legend, the wider the rusty-brown center section (or the more brown segments there are), the milder the coming winter will be. The more black there is, the more severe the winter. Based upon this small sample size of one, it looks like it will be a very mild winter indeed. Upon further reflection though, this specimen is not a normal Woolly Bear, but a Yellow Woolly Bear that doesn’t have stripes and can’t predict the weather. Anne and I drove up to the Riverlands to do some birding on Friday. We saw many egrets and herons and the beginnings of the pelican migration. The river was very low, making for prime habitat for wading birds. It being a school day the place was overrun with field tripping students. The most interesting group were the kids out canoeing in Ellis Bay, a little backwater off of the main channel. 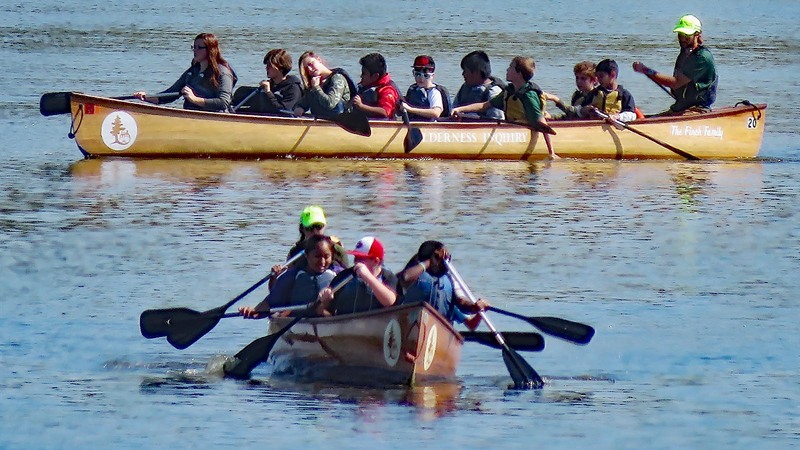 A busload of them were out on the water in three large multi-person canoes that were reminiscent of the ones used by Lewis and Clark and their men on their voyage of discovery to the West coast. The Riverlands is across the river from the site of Camp Dubois, where the expedition first gathered. Lewis and Clark couldn’t form up in Saint Louis, because that was still French territory at the time. So, they organized in Illinois, which was US territory and then set off in the late spring after the Louisiana Purchase was completed. I’m sure that these kids are getting an ear full of American history, along with a good workout. 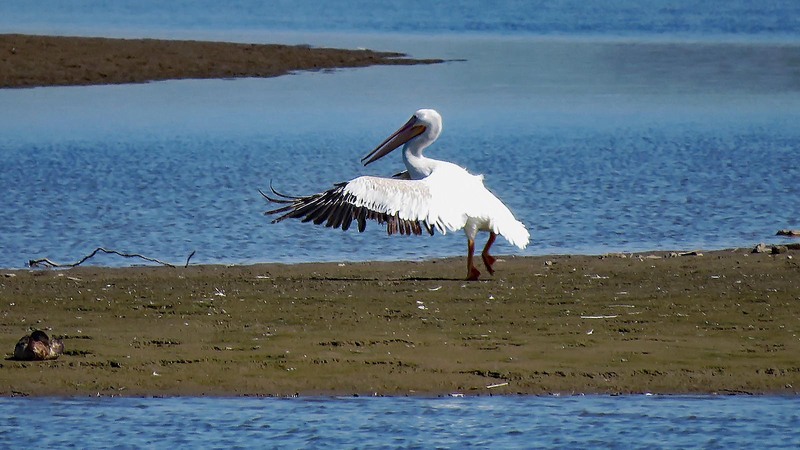 This entry was posted in Nature, Photography and tagged Riverlands Migratory Bird Sanctuary by RegenAxe. Bookmark the permalink.